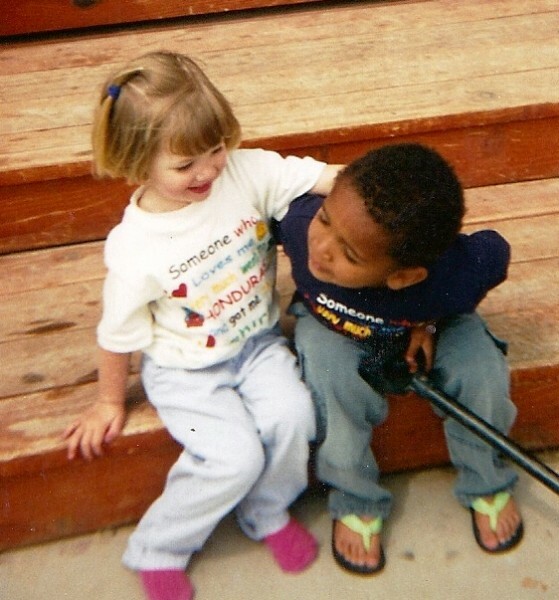 As preschoolers, people outside of the family, often treated this brother and sister with different expectations. Anyone who has raised a child has wished there was a manual and a step-by-step instruction sheet for the process. Luckily, the memory you have of how you felt as a child and as a teenagers should help you navigate some of the issues. However, a white parent raising a Black child becomes even more complicated, because you have never been a Black child. This is a disadvantage. Race doesn’t really matter. There are no unique needs of blackness and black childhood. Once teachers/coaches/neighbors get to know you and your child, then there will be no passive racist views. There are no differences between the needs of a Black child, emotionally, socially, mentally and physically. Adopting a Black child makes you Black by proxy. You deserve respect and approval for this charitable act. You now have an inside pass to use freely drop “sista” or any other Black vernacular you see depicted in movies. There are no physical differences between Black children and other nationalities. All members of your extended family are going to eventually love this child as much as you do. Your child will never have friends which will project an attitude of how your child should feel honored just because he or she is deemed a worthy friend for a white child. You will never have parents who brag about how unbiased they are because they allow your child in their home. As the brother and sister grew older then knew better how to deal with passive racism. Read their full story here. All of the above assumptions are false to varying degrees. In the next few blogs we will tackle each bullet point so you can better maneuver these falsehoods. When your child hears racist remarks either passive or aggressive, they need to know you do not condone those actions. They should not feel this is a normal or acceptable thing for people to do. However, if you react with outrage, then your child can feel victimized. Calmly addressing the situation is essential.